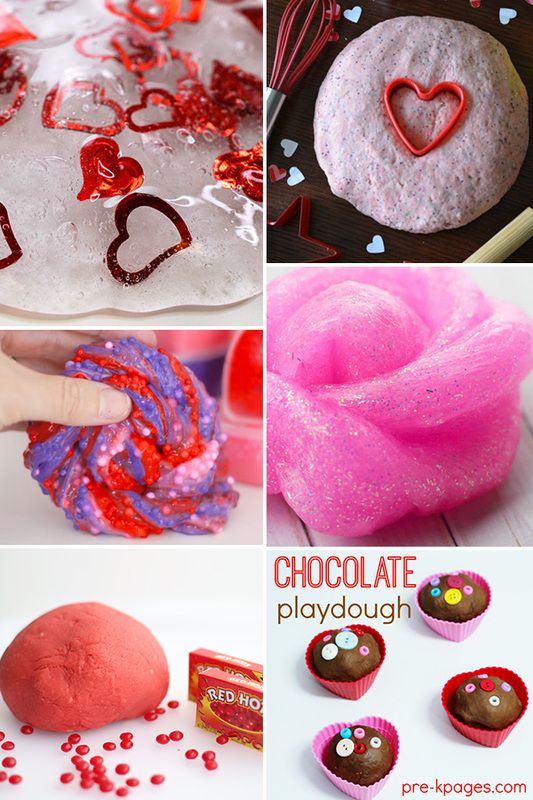 Have fun exploring these fun sensory play ideas in the lead up to Valentine’s Day – there’s playdough, slime, floam, putty, rice play and more! 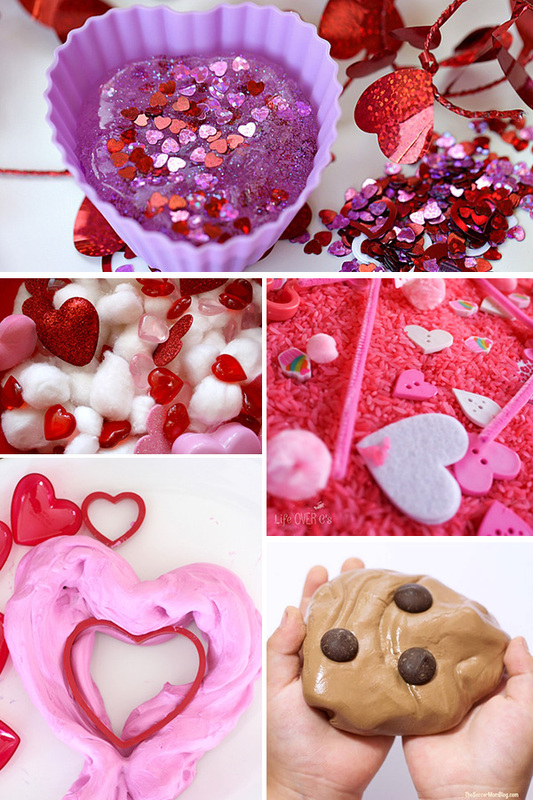 Featuring hearts, reds, pinks, even chocolate(! ), there is no doubt there’s some serious Valentine’s Day inspiration here! 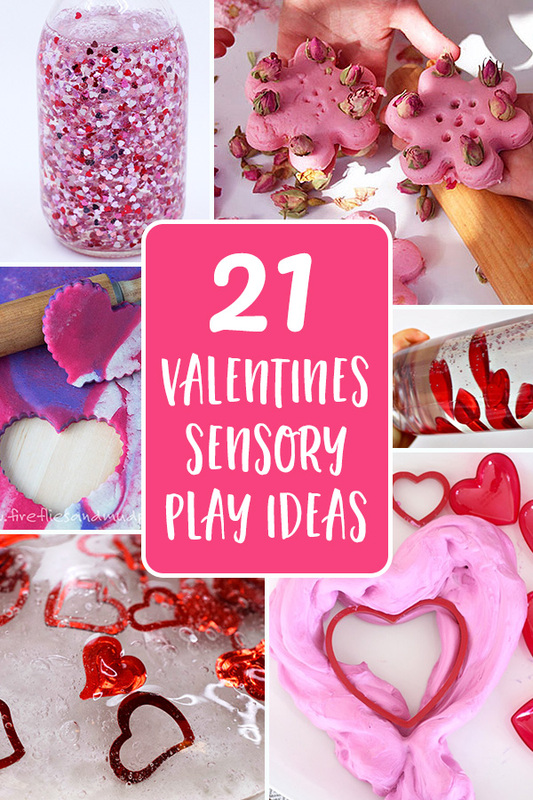 Sensory play is fabulous for developing connections within the brain (you can read more about these benefits in our great big round up of sensory play), supporting the development of oral language, fine motor and social skills. 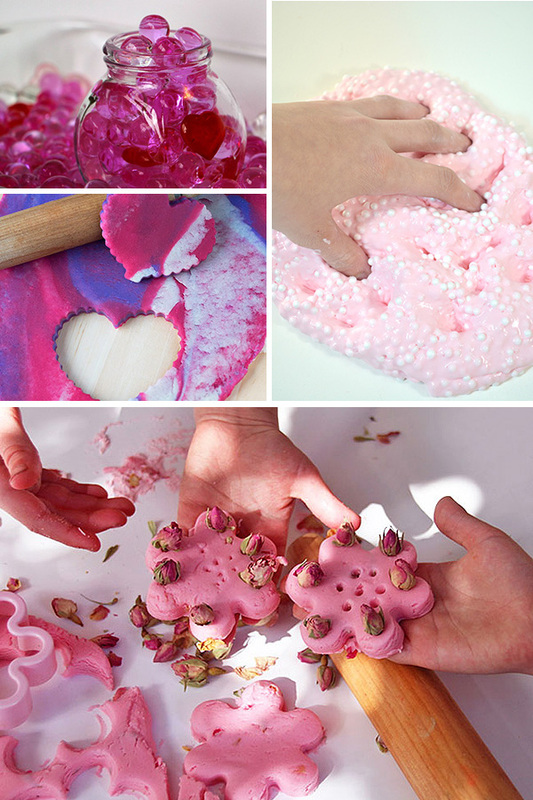 While your preschooler or kindergartener will LOVE these ideas, sensory play is super for bigger kids too (stick to edible play ideas for toddlers) and it’s particularly helpful as a tool when children are feeling anxious, upset or even bored! The ideas included in this list use simple, household supplies to make, with many taking only minutes to set up. 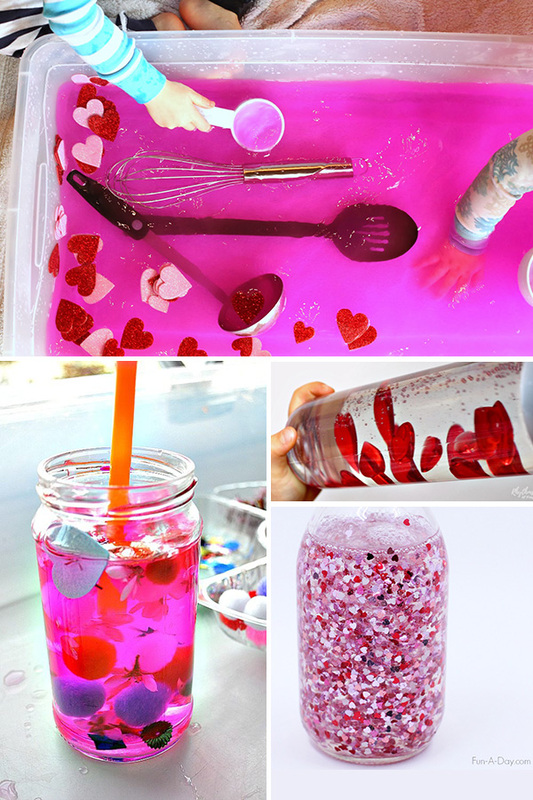 For even more sensory fun, check out our collection of 55 ideas for sensory bins, sensory bottles or our 31 Days of Sensory Play Ideas – kid approved!